Born in India, Balwant Sanghera moved to B.C. in 1966 where he has become a well-respected multicultural advocate, and a bridge builder between communities and generations. After a teaching career, Mr. Sanghera received his Master of Education from UBC and in 1990 became a school psychologist with the Burnaby School District. He developed an educational program for the Maples Adolescent Centre, which serves the province’s most difficult adolescents with mental health and behavioural problems. He has mentored and fostered similar programs province wide. Mr. Sanghera’s leadership has resulted in positive outcomes to many issues facing Richmond’s new Canadians. He is currently president of both the Richmond Multicultural Concerns Society and the Punjabi Language Education Association of British Columbia. He is chair of Richmond’s Intercultural Advisory Committee, vice president of the East Richmond Community Association and a long-time organizer of Multi-Fest, a summer festival to celebrate Richmond’s diversity. Mr. Sanghera is a superb role model for Indo-Canadian youth. He organized an important forum in February 2003 directed at preventing youth violence in the Indo-Canadian community. He is also a regular contributor to community newspapers, TV and radio, promoting youth and multicultural issues. Mr. Sanghera is a former Board Member of the College of Naturopathic Physicians of British Columbia, and is a member of the Advisory Board for NOW Television. Past positions include senator of Simon Fraser University and chair of the Committee of Ombudspersons of the BC Teachers’ Federation. 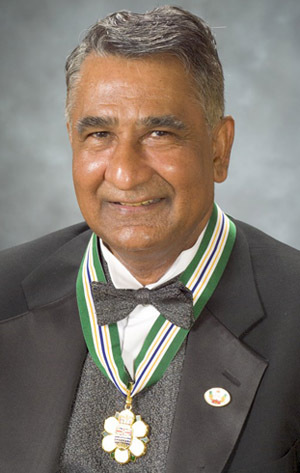 In 2002, Mr. Sanghera was awarded the Queen’s Golden Jubilee Medal.